Nacido en Chicago en 1974, JONATHAN BROWN empez� sus estudios musicales a los cuatro a�os y m�s tarde empez� a tocar la viola en varias agrupaciones de m�sica de c�mara. Estudi� con Heidi Castleman, Martha Strongin Katz y Victoria Chiang, antes de terminar su diploma superior en la Julliard School de Nueva York con Karen Tuttle. Jonathan Brown prosigui� sus estudios en la Universit�t Mozarteum de Salzburgo con Thomas Riebl y Veronika Hagen. Ha participado en masterclases con Diemut Poppen, Sylvia Rosenberg y Donald Weilerstein y ha sido profundamende influenciado por Ferenc Rados y Gy�rgy Kurtag. Desde el a�o 2002, forma parte del Cuarteto Casals, con el que toca en las salas m�s importantes del mundo. El cuarteto graba exclusivamente por Harmonia Mundi, sello con el que ha publicado una extensible cantidad de repertorio desde Boccherini hasta Kurtag. Por otro lado, Jonathan Brown ha sido invitado por otras agrupaciones de c�mara, como los cuartetos Tokyo, Kuss, Zemlinsky, Quiroga y Miro y el Trio Kandinsky. Como int�rprete comprometido con la m�sica actual, Jonathan es miembro fundador de Funktion y ha tocado a menudo como solista con la BCN216, interpretando obras de Morton Feldman y Luciano Berio. Jonathan es actualmente profesor de viola y m�sica de c�mara en la Escuela Superior de M�sica de Barcelona y profesor asistente de la Escuela Superior de M�sica Reina Sof�a y es invitado frecuentemente para dar masteclases en Europa y Am�rica. 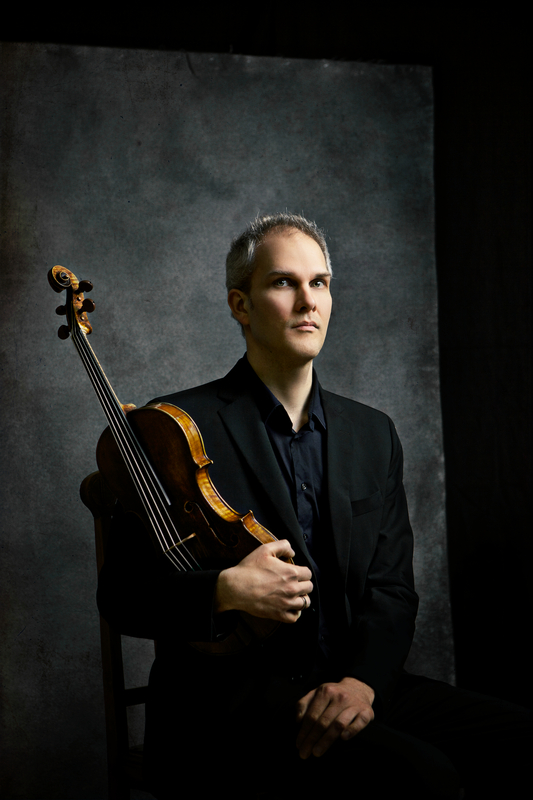 Born in Chicago in 1974, JONATHAN BROWN began his musical studies at the age of four, and later began playing the viola in chamber music ensembles. He studied with Heidi Castleman, Martha Strongin Katz and Victoria Chiang, before receiving his Masters Degree from the Juilliard School with Karen Tuttle. Upon receiving a Beebe Grant for Musicians, Jonathan moved to Salzburg where he studied at The Universit�t Mozarteum with Thomas Riebl and Veronika Hagen. He participated in masterclasses with Diemut Poppen, Sylvia Rosenberg and Donald Weilerstein and has been profoundly influenced by his lessons with Ferenc Rados and Gy�rgy Kurt�g. In 2002 Jonathan joined the Cuarteto Casals, with whom he has regularly appeared in the most important concert halls and festivals around the world. The quartet records exlusively for Harmonia Mundi, for whom they have recorded extensively covering a wide range of repertoire from Boccherini to Kurt�g. Jonathan has also been a featured guest of other chamber music ensembles, including the Tokyo, Kuss, Miro, Quiroga and Zemlinsky Quartets and the Kandinsky Trio. A dedicated performer of new music, Jonathan is a fouding member of Funktion and has often appeared as soloist with BCN216, performing works of Morton Feldman and Luciano Berio. He is currently professor of viola and chamber music at ESMUC in Barcelona and assistant professor of viola at the Escuela Reina Sof�a in Madrid, and is frequently invited to give masterclasses throughout Europe and America.